Croce and and six others were killed when their chartered Beechcraft E18S crashed while taking off from the Natchitoches Regional Airport in Natchitoches, Louisiana. He had just completed a concert and was flying to Texas, for a concert at Austin College. The plane crashed an hour after the end of his final concert after clipping a pecan tree at the end of the runway during take-off. A subsequent investigation placed sole blame for the accident on pilot error. 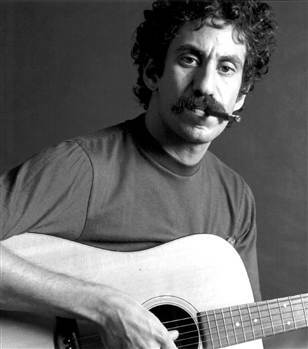 Croce’s career peaked after his death. In December of 1973, the album “I Got a Name” surfaced, but it was “Time in a Bottle,” from 1972’s “You Don’t Mess Around with Jim”, that would become his second number one single. Shortly afterwards, “I’ll Have to Say I Love You in a Song” reached the Top Ten.